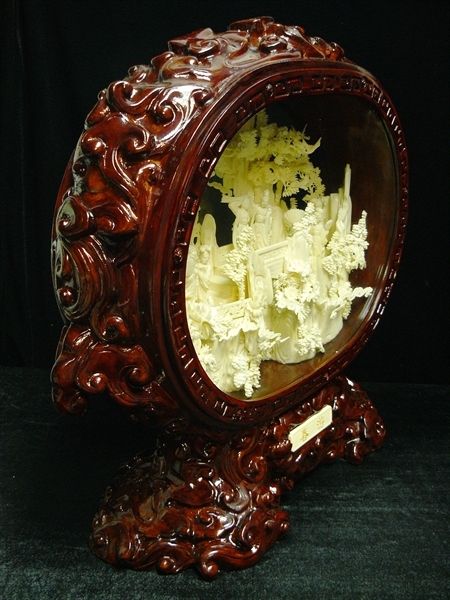 Wide: 20", Deep: 6", High: 20". 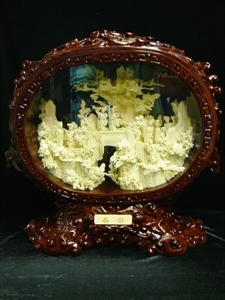 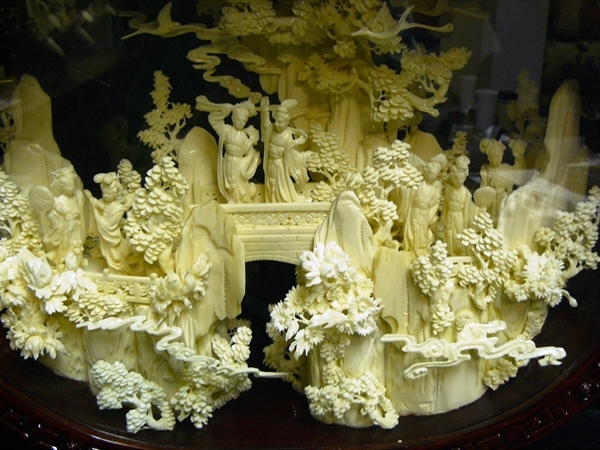 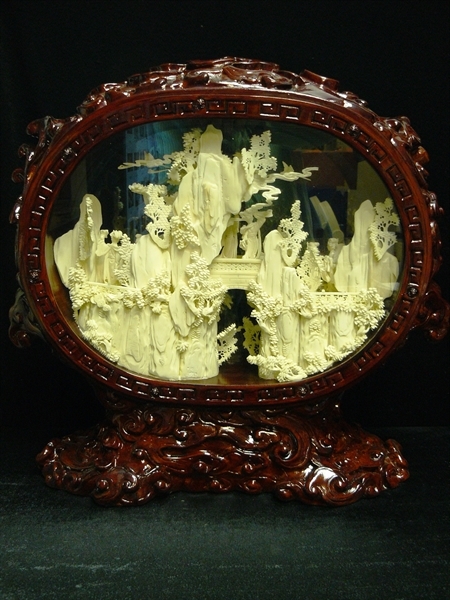 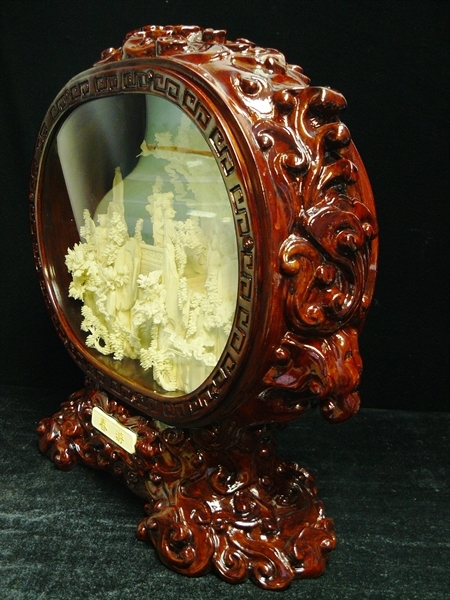 This is fairies mountain, which is carved inside a frame with glasses on both sides. It can be used as screen or divider, especially for living room.